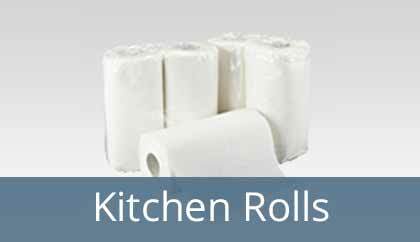 Lotus Tissues Papers Products - a highly reliable tissue paper manufacturers in India, hold the kitchen area in high regard. Since we believe that the kitchen is the source of sustainability and good health, we ensure that the range of our kitchen tissues are the best. In terms of quality, we have gained an edge over competition and have been able to scale the ladder to success. Right from home makers to restaurant owners to hotel authorities, our products have left a smile on everyone’s faces. We ensure that when it pertains to the kitchen only the best material must be used, this belief that we hold translates into the high quality and easy usability of the tissues that we offer. Giving tough competition to other tissue makers, we take special care of the hygiene involved in the making of the kitchen tissues. They are a good alternative for Kitchen towels made of other synthetics and fabric materials. Perfect choice for a kitchen environment as it can withstand both wet and dry conditions. We ensure that it helps to maintain the purity and freshness of your food. Highly applicable while preparation of food and while serving the food to wipe tables, cutlery and other surfaces. Note: We take order for bulk quantities as well.